Go back to basics with these square earrings. 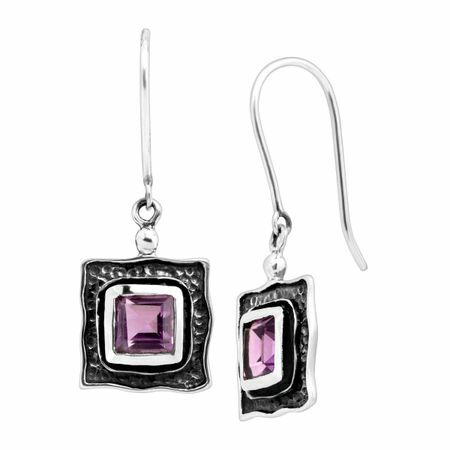 Natural amethysts sit central among textured sterling silver, complete with elongated sterling silver drops. Earrings measure 3/4 by 1/2 inches and feature French wire back findings. Pieces come with “.925” sterling silver quality stamps as symbols of guaranteed product quality.